Preschool programming options will be offered on the traditional school calendar at Karen Acres Elementary and Webster Elementary. Preschool programming will also be offered on the traditional and alternative (year-round) calendar at Rolling Green Elementary. Program options at each location for the 2019–2020 school year will be finalized after pre-registration as they will be based on the specific pre-registration information that families provide and available building space. Facility Needs: The number of pre-registered preschool students and the number of registered K-5 students will determine available building space. Programming: The number of pre-registered preschool students and their preferences for programming options (half-day or full-day; before, wrap-around, or after-school child care) will determine how we structure our programming. Are you pre-registering for 3-year-old or 4-year-old preschool? Which programming option you would prefer (Half-day, Full-day, Full-day with Before/After school care)? Please select your building preference (first and second choice). There is NO fee for pre-registering. Your preferences will help shape the structure and framework for our upcoming 2019-2020 preschool year! Click on the ‘Adventuretime Family Services’ icon. After you register, you will receive an email confirmation stating the date and time of your pre-registration. Please check your junk/spam folder in case the email was filtered as junk/spam by your email provider. If you do not receive a confirmation email within five minutes, contact the Adventuretime Office (515) 457-5855. Make sure to leave a message if your call isn’t able to be answered right away. Preschool students will be accepted based on the date and time of registration. 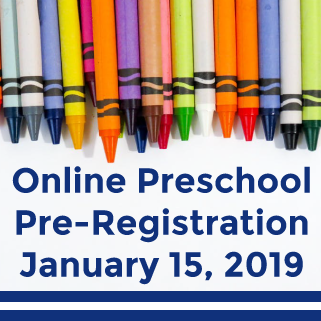 All students are able to register on January 15, 2019; however, students who live in the Urbandale Community School District will have registration priority until February 15, 2019. After that date, district and non-district residents will be able to fill spots based on their registration date and time. Pre-registering your student does not guarantee your student a spot in the Adventuretime Preschool Program. Once all facility and programming decisions are confirmed, you will be contacted regarding your acceptance into the preschool program. Notification of acceptance will be provided to parents once Kindergarten through 5th grade school registration is complete. We anticipate notifying all families via phone by April 30, 2019, as we will then know how many classrooms will be available at each building for preschool and have facility options confirmed. Preschool students will then be placed into classrooms based on their date and time of registration, resident district status, and building/time preference. Once you are notified via phone, you will be asked to go on to the Urbandale Community School District website and officially enroll in Regwerks within 24 hours (information on how to enroll in Regwerks will be included in a email). If you do not enroll within 24 hours, we will notify the next person on the list and you will lose your position in line. A $40.00 program fee will be required at this time. If a student is not accepted, you will be notified and asked if you would like your child placed on a waiting list. All rates are subject to change depending on final facility and programming decisions. There is not a separate application process to qualify for Statewide Voluntary Preschool dollars. If your student is 4-years-old before September 15, 2019, your student automatically qualifies for Statewide Voluntary Preschool dollars. The Statewide Voluntary Preschool dollars only cover 10 hours/week. For example, a 4-year-old student who attends the half-day program will attend for free and a full-day student will pay a $618.00 monthly fee. Adventuretime Family Services accepts DHS child care assistance funding. Adventuretime is not able to contact DHS on the behalf of parents. Parents must apply for child care assistance directly with DHS. It is the responsibility of the parent to provide Adventuretime with a letter from DHS confirming whether or not they are eligible for childcare assistance. Contact the Centralized Child Care Assistance Eligibility Unit at 866-448-4605 for more information regarding child care assistance. If you are denied DHS funding, you can apply for a grant through Adventuretime Family Services. To apply for this grant you must have a denial letter from DHS, complete the Free/Reduced lunch forms provided on this site including the waiver (available in mid to late July), qualify for Free/Reduced lunch, and provide Adventuretime paperwork showing that your family has been approved for Free/Reduced lunch. Students who currently receive early childhood/special education services do not register for preschool through Adventuretime. Please follow the district registration process. 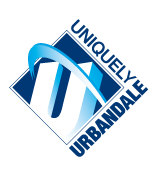 For additional information, contact Sandy Walters at the Urbandale Community School District Administrative Office (515) 457-5000. Thank you for taking the time to review this information and pre-registering. We look forward to welcoming your family for the 2019-2020 school year!